National operator DWF has bolstered its services clout ahead of a touted stock exchange listing with the hire of Freshfields Bruckhaus Deringer’s well-regarded chief of business operations, Anup Kollanethu (pictured). 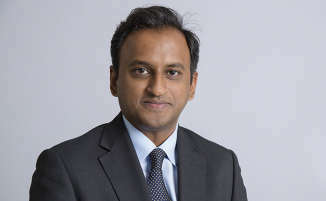 Kollanethu, who joined the Magic Circle firm in mid-2015 after 12 years at Aviva Investors, has been appointed chief executive of DWF managed services. The new role will oversee the development of DWF’s volume and integrated legal services work. This will add to initiatives such as the firm’s Connected Services arm, a division of independent businesses which work alongside the firm’s legal teams to help clients manage risk, reputation, cost, time and resources. Kollanethu was the director of Freshfields’ combined legal and business services centre in Manchester, opened as part of the City giant’s 2015 shake-up which saw the mass relocation of support roles to the north. More than 700 jobs have been created in Manchester since. DWF chief executive Andrew Leaitherland cited Kollanethu’s extensive experience in business transformation and managed services, which has included a stint as managing director of transformation and global shared services at Aviva Investors, as integral to the hire. Kollanethu’s experience in business change projects comes as DWF gears up to be the largest UK firm float yet. In June the firm confirmed it was eyeing a London Stock Exchange listing later this year. DWF also recently brought in former DLA Piper chief information officer (CIO) Daniel Pollick for a newly created CIO role. DWF’s float reportedly came with a £1bn price tag but, given its 2016/17 revenue of £199.3m, and profit of £45.5m, a more realistic valuation would be in the £400-£600m region. DWF’s borrowings have also increased in recent years to exceed £40m in bank debt, a relatively high level for a law firm. The firm’s recent history has been marked by a spate of office openings in Europe, North America and Asia-Pacific, as well as the acquisitions of legal cost business NeoLaw last June and claims management firm Triton Global. DWF’s IPO would be the sixth UK float, and the largest by some distance since Slater & Gordon’s troublesome listing on the Australian stock exchange more than a decade ago.